Motorists are urged to avoid the area of Highland Avenue and Cottage Road on Tuesday. 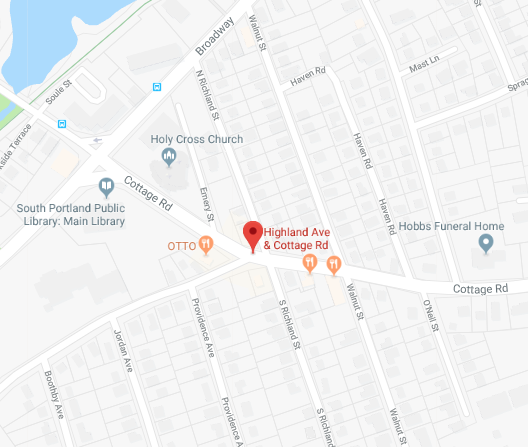 Motorists are being advised by the Portland Water District to avoid using the intersection of Highland Avenue and Cottage Road in South Portland. Michelle Clements, the water district’s spokeswoman, said crews are scheduled to spend most of the day Tuesday repairing the water main system. Repairs will begin at 6 a.m. and won’t be finished until 6 p.m. The busy intersection is near Red’s Dairy Freeze. “Due to congestion, commuters are urged to avoid the area,” the water district said in a post on its Facebook page.